Thinking about leasing? Its great resale value and a BMW-supported lease program make the 3-Series an especially good value to lease relative to the other cars in its class. The monthly payments on the 2008 BMW 3-Series might be lower than you thought. The 2008 BMW 3-Series sedan has the best overall driving experience in its class and remains the gold standard among mid-size sport sedans. 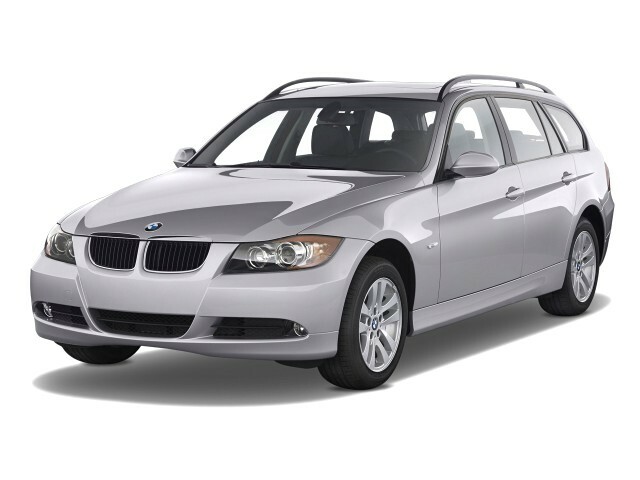 TheCarConnection.com has read some of the best reviews on the new 2008 BMW 3-Series to produce this comprehensive review that covers both the sedan and wagon. 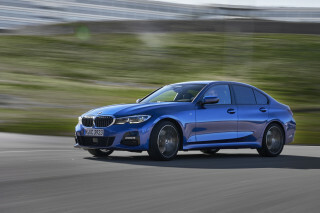 TheCarConnection.com’s editors have also driven the BMW 3-Series sedan and wagon models and add their impressions to help shoppers distill the information. The 2008 BMW 3-Series is BMW's best-selling vehicle line--a series of compact sport sedans, wagons, coupes, and convertibles. The 2008 BMW 3-Series sedan covered in this review comes with one of two different inline six-cylinder engines, with models designated 328 and 335. The 328's engine makes 230 horsepower, while the 335 gets the 300-horsepower, twin-turbocharged version. The 328 is available in rear-wheel-drive 328i or all-wheel-drive 328 xi layouts, but the rear-wheel-drive 335i is the only way to pick up the high-performance engine. Between the two engines, there's quite a variation--both on paper and in execution--and the 2008 BMW 3-Series has a decidedly different personality with each, but both the 328 and 335 deliver satisfying performance. Each model can be had with either a six-speed manual or six-speed automatic transmission; steering-wheel paddle-shifters are included with the latter. The 328i sedan with the six-speed manual can reach 60 mph in about six seconds, yet gets 28 mpg on the highway; the 335i provides tremendous thrust from almost any speed and doesn't have the lag of most turbocharged engines. With near-perfect driving dynamics, the 3-Series threads through corners with great balance and poise--even on rough pavement surfaces. A sign of great suspension tuning, it does so without a sacrifice in ride quality; the 2008 BMW 3-Series has a ride that's firm, yet absorbent over all but the most threatening potholes and heaves. For a car that provides such engaging handling, the 3-Series tracks well on high-speed highway cruises, too. 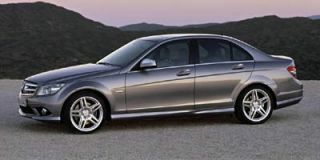 The 2008 3-Series sedan has firm, supportive seats that are good for long-haul driving, but the backseats are sorely lacking in legroom, and overall, the interior is rather tight. However, the cabin is a very refined place, with well-muted road and engine noise, a very attractive instrument panel design, and impressive materials. Top-tech options include xenon adaptive headlamps and active cruise control; satellite radio and an iPod/USB adapter are available. Vehicles optioned with the navigation system also get the iDrive system, which requires a complicated, screen-driven interface for some controls. Good, but not stellar, showings in crash tests from the federal government and insurance industry sully the 3-Series's reputation for being on top. The 2008 BMW 3-Series was rated four out of five stars in the federal frontal test and five stars in the side test, and a sedan was given the top "good" rating in frontal offset and side tests but "acceptable" in rear impact. This BMW 2008 is a mixed bag; most Bimmer fans will appreciate the 2008 BMW 3-Series's outward styling, but whether or not they like the interior will be a matter of individual taste. The 2008 BMW 3-Series wears sculptured lines that please most reviewers around the Web, while its cabin is more sedate. When it comes to handling and performance, the 2008 BMW 3-Series continues to uphold its stellar reputation. The 2008 BMW 3-Series offers a choice of inline-six engines, manual or automatic transmissions, and rear- or all-wheel drive. The common element: beautifully mannered handling, amplified by blistering pace in the twin-turbo 335i. Car and Driver reports that the 2008 BMW 3-Series "is available with either a 230-hp normally aspirated inline-six [328i] or a 300-hp twin-turbo six [335i or ix]." Cars.com declares that the "rear-wheel-drive 328i [BMW 2008] is powered by a 3.0-liter inline-six that makes 230 horsepower at 6,500 rpm and 200 pounds-feet of torque at 2,750 rpm." 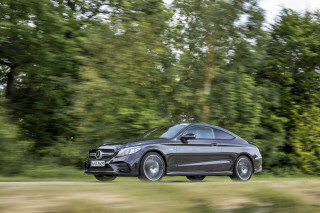 Though this engine lacks "the low-end thrust of the twin-turbo 335i and its unique 3.0-liter inline-six," it is nonetheless "smooth and flexible." Edmunds acknowledges both engines are "potent and refined," but the twin-turbo six transforms the 3-Series into a truly fast sports sedan--Car and Driver calls it "stupid fast." The 335i provides tremendous thrust from almost any speed and doesn't have the lag of most turbocharged engines. Automobile uses more culinary metaphors in describing what they call "an engine to die for...turbocharged and intercooled cylinders fed by direct fuel injection and optimized with variable valve timing," adding that "like sweet cream, energy pours out of the 335i's engine throughout the rev range." This is no engine to be taken lightly; "step deep into the throttle with only 2000 rpm on the tach, and there's but a hint of hesitation before the rush to the redline"--which, according to this source, is an impressive 7,000 rpm. The 328i sedan with the six-speed manual can hit 60 mph in about 6 seconds, yet gets 28 mpg on the highway, while the 335i takes less than 5 seconds. Cars.com reports better-than-average fuel economy, based on figures from the factory: "the 328i sedan gets an estimated 21/30 mpg (city/highway) with the automatic transmission and 20/29 mpg with the manual." According to fueleconomy.gov, the figures are 19/28 mpg with the automatic and 18/28 mpg with the manual on the 328i; the 335i turns in 17/26 mpg with rear-wheel drive and a manual gearbox, or 16/25 mpg with all-wheel drive and an automatic. With near-perfect driving dynamics, the 3-Series threads through corners with great balance and poise--even on rough pavement surfaces. A sign of great suspension tuning, it does so without a sacrifice in ride quality; the 2008 BMW 3-Series has a ride that's firm yet absorbent over all but the most threatening potholes and heaves. For a car that provides such engaging handling, the 3-Series tracks well on high-speed highway cruises, too. Cars.com says "it rewards the driver like few other non-exotic cars can, with its communicative steering, intuitive handling." Automobile attributes this 2008 BMW's "excellent levels of roadholding and stability" to "a more sophisticated front suspension, quicker steering, and stouter brakes," while Car and Driver praises its "great steering feel” and “perfectly tuned chassis.” Kelley Blue Book says it "provides exceptional confidence through even the most challenging corners," and they add that this BMW 2008's "excellent xDrive all-wheel-drive system also makes dealing with inclement weather considerably less stressful." The 2008 BMW 3-Series offers the usual excellent levels of comfort and quality, but larger people may want for something a bit roomier. The 2008 3-Series sedan has firm, supportive seats that are good for long-haul driving, but the backseats are sorely lacking in legroom, and overall, the interior is rather tight. According to Cars.com, the 3-Series seats five, but "the issue is not one of material quality or craftsmanship, which is mostly good, but of overall roominess." MyRide.com says that "despite gains in interior room, the 2008 BMW 3-Series is still an intimate car. It's difficult to get into and out of due to small front door openings and an intrusive rear wheel well, and once situated inside the cabin snugly envelops its occupants." Nonetheless, Edmunds reports "the front seats have enough firm support to ward off fatigue during a day's worth of driving, while the rear seats are adequately roomy for adults on shorter trips and plenty accommodating for children." Seats are excellent, notes Kelley Blue Book: "the 2008 BMW 3 Series remains a compact sedan that provides better accommodations in its firm but comfortably supportive front bucket seats." However, they contend that "six-footers are apt to feel a bit confined" in the rear. ConsumerGuide believes "headroom and legroom are good for all but the tallest drivers," pointing out that "standard manual tilt and telescopic steering wheel helps tailor a comfortable driving position." Storage space is also at a premium in this 3-Series 2008 BMW. Edmunds observes that there is "not much interior storage space...trunk space is average in sedans." 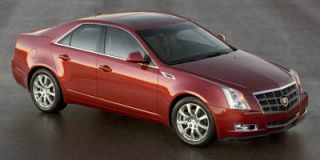 Cars.com gives the actual specs: "the sedan's trunk capacity is 12 cubic feet, and a folding rear seat is optional." However, the cabin is a very refined place, with road and engine noise well muted, a very attractive instrument panel design, and impressive materials. Edmunds notes that the "interior materials...are high in quality and build quality is exceptional; indeed, even the standard leatherette (vinyl) upholstery looks and feels better than one would expect." ConsumerGuide is in accord with this evaluation: "Cabin materials look classy and have a sturdy, soft-touch feel." Driver and passengers will ride in this BMW 2008 model in peace and quiet. According to ConsumerGuide, this 2008 BMW's engines "sing under acceleration but cruise quietly," while "wind rush is evident at highway speeds...tire noise is subdued with base suspension but elevated with sport suspension." The slightly lower front-impact scores are a concern, but the 2008 BMW 3-Series performs well in safety tests. The 2008 BMW 3-Series provides numerous active and passive safety devices. Good, but not stellar, showings in crash tests from the federal government and the insurance industry sully the 3-Series's reputation for being on top. The 2008 BMW 3-Series was rated four out of five stars in the frontal test and five stars in the side test from the National Highway Traffic Safety Administration (NHTSA). 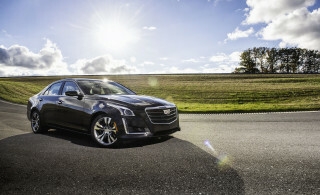 A sedan was given the top "good" rating in frontal offset and side tests but "acceptable" in rear impact by the Insurance Institute for Highway Safety (IIHS). Passive safety features included with this 2008 BMW according to Car and Driver are "front and front side airbags as well as curtain airbags." Cars.com reports that this BMW 2008 offers standard safety features such as "side curtain airbags, side-impact airbags for the front seats and an electronic stability system," adding that "rear parking sensors are optional." TheCarConnection.com has not noted any serious complaints over visibility issues in the 2008 BMW. Although "thick front pillars can obscure vision to the forward corners," Consumer Guide reports that "rear visibility is fine" for those behind the wheel of this BMW 2008. The 2008 BMW 3-Series is well equipped and has all the latest options, but iDrive is enough to steer drivers away from the navigation system. The 2008 BMW 3-Series has plenty of features for the price, although options can add to the already high sticker price. All 3-Series sedans come with power windows/locks/mirrors, cruise control, air conditioning, and an AM/FM/CD player. According to Car and Driver, "BMW keeps its model lineup blessedly simple." Three primary option packages are offered: Premium, Sport, and Cold Weather. Car and Driver reports the BMW 2008's Premium package as including "leather seating, power folding mirrors, four-way power lumbar on the front seats, and power front seats with memory"; Edmunds adds that the 3-Series 2008 BMW's mirrors are "auto-dimming," and that "Bluetooth [and] BMW Assist telematics" are available with the Premium package as well. This BMW 2008's Sport Package adds 18-inch wheels and sport seats, and Car and Driver says this "package is definitely worth the extra dough," provided the roads in your area are well maintained. Stand-alone options for the 3-Series 2008 BMW include an iPod/USB adapter, satellite radio, and a power rear-window sunshade, which Car and Driver considers a "$350 piece of frippery." Car and Driver adds that the 2008 BMW 3-Series' "active cruise control is an option we wouldn't bother with, and the excellent navigation and phone system is let down by the overly complicated iDrive arrangement." The iDrive system uses a complicated, screen-driven interface for some controls; Edmunds adds that the "iDrive interface is very unintuitive." 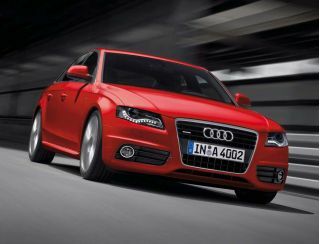 Wonderfully balanced car, great styling, with M3 performance package & upgraded luxury package preforms extremely well. Great low end torque & Steptronic gear ratios it's hard to hold down! Rear seating is... Wonderfully balanced car, great styling, with M3 performance package & upgraded luxury package preforms extremely well. Great low end torque & Steptronic gear ratios it's hard to hold down! Rear seating is adequate but not spacious for adults. Balanced Bimmer before BMW sold its soul! Stock Bimmer with 3 liter 6 cylinder. Very difficult to get the rear to come around in hard cornering. Non-electric steering with the feel that current BMWs could only wish they had! Excellent high speed... Stock Bimmer with 3 liter 6 cylinder. Very difficult to get the rear to come around in hard cornering. Non-electric steering with the feel that current BMWs could only wish they had! Excellent high speed stability at 130mph! Only wish its turn-in was as sharp as an S2000! The 2008 BMW 335i Sedan represents the perfect balance between athletic sports car and practical sedan. Great engine!!! Powerful brakes. Sharp steering Precise suspension. Good build quality. Cramped rear seats. Useful but tight trunk iDrive was still in early stages of refinement. Did I mention the ENGINE? Fair... Great engine!!! iDrive was still in early stages of refinement. Did I mention the ENGINE? Fair to Good fuel economy. This is just a great car to drive. This is just a great car to drive, and trouble free.